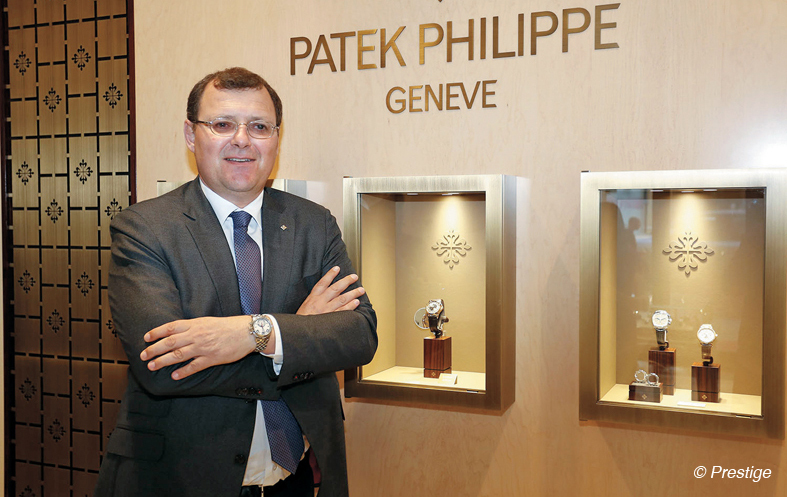 On the occasion of the opening of the new Patek Philippe boutique managed by Cadrans in downtown Beirut, we met Thierry Stern, president of the Geneva-based brand, the last independent watchmaking company in family hands. For more than 175 years without interruption, Patek Philippe strives to perpetuate the great traditional Genevan watchmaking. Thierry Stern shared with Prestige ten founding values of Patek Philippe, present in Lebanon for 62 years and the limited edition of the World Time made especially for this event. Thierry Stern, CEO of Patek Philippe. You just opened the first Patek Philippe boutique in Lebanon. We are based in Lebanon since 62 years, this presence goes back over three generations, my grandfather, my father and me. We are bound to this country and the Lebanese are familiar with the philosophy of Patek Philippe, they appreciate our products. I think it’s the same at Patek Philippe who enjoy working with people who understand the product and our strategy. Why did you decide to open a boutique after all this time? I think the evolution of the brand but also that of markets and retailers, has helped us to gain power, notoriety, Patek Philippe was only known before by enthusiasts and purists. Today there is a new clientele of young people who got to know us. Today’s customers are well informed and they need qualified staff to answer questions and highlight the product. To have a shop of this caliber means we are at the height of the customer’s expectations, and we put the quality of the brand in the forefront. We are leaders in the field of Haute Horlogerie, and it is important to communicate via the shops that must remain rare. It is not our objective to open Patek Philippe boutiques controlled by Patek Philippe. We assume that these boutiques can be managed by the retailer, on the condition of choosing the right location, which is very important. The boutique is at the right address, the retailer made large investments. I think Raymond Abou Adal has good vision and believes in the brand the way we do. This is a long term investment which I hope will be interesting and profitable. 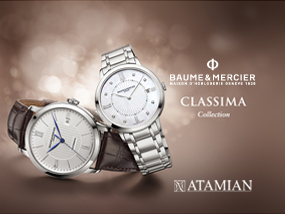 Can you tell us about the limited edition that will be available in your Beirut boutique? To celebrate these 62 years of collaboration, we present a complication in a limited edition of 25 watches. It is a model whose base exists since it is in the collection. We have renewed the design of the dial, it is the World Time, and this is what gives the piece all its strength. Beirut is highlighted, it is a beautiful guilloche work on the center. We had to find the good colors, good sorting. It is not possible to make a limited edition that is not beautiful, it is a piece that can easily be worn with a suit, it is beautiful and pretty class. The idea is to sell it to local customers. Will only men be wearing it? We find that more and more women today want to wear men’s watches, they also carry automatic movements, mechanical and not only quartz. There is another specific dial color for this piece, it is a dark brown that draws on black, pretty beautiful, and must remain unique. A special edition should stand out, this is why it has been so well studied to mark the difference. Don’t you think that some women wear men’s watches, because of the lack on the market regarding mechanical watches for women? It is very complicated, requiring savoir-faire to realize a small movement. You are right to ask this question. Note that most of the calibers found on the market are for males. We always wanted to make thin and small calibers, it is not the easiest alternative, but it also shows the watchmaking skills of Patek Philippe. You have a complete collection for women regarding the movements, you have perpetual calendars, annual, minute repeater, except the tourbillon. 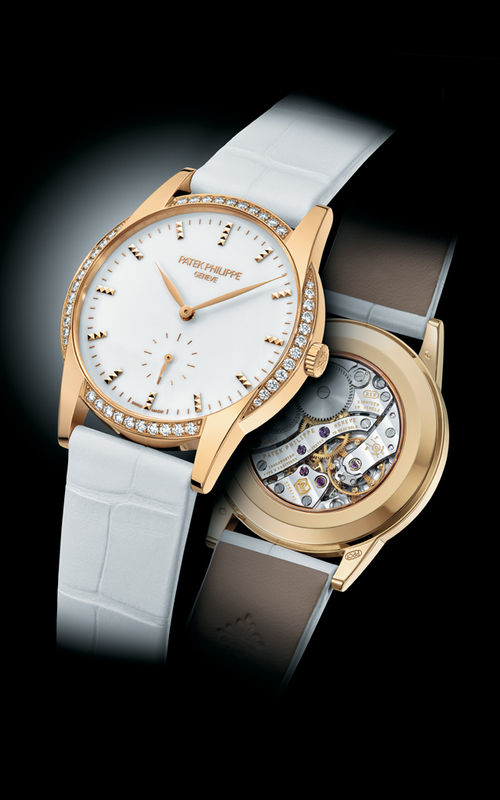 Patek Philippe has always advocated precision and aesthetics. We chose not to redevelop the tourbillon because we believe that modern escapement systems are more accurate, although I am aware that the tourbillon on the dial is well appreciated by women. The foundation of Haute Horlogerie that trains new watchmakers opened their campus a week ago? Do you have as Patek Philippe your own school? The campus is a good thing, but the training we have is a little different, we train all of our watchmakers, not two or three people, to make swivels or else. The master watchmaker is a different training. There is the basic watch training, for which we have our own schools, and in which we train our clockmakers and watchmakers, retailers and distributors who need to be updated. 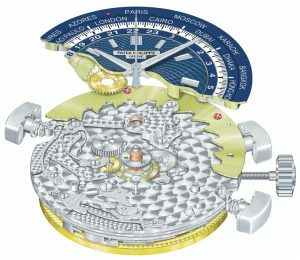 These three schools, then there is indeed the master watchmakers who must control everything in one area, they can not control the entire field starting up with the perpetual calendar, tourbillon and minute repeater or chronograph. We will validate once they have all the modules, we have the grids that are harsh, a form of selection where the watchmakers will need a few years to get through all the training, have a number of Points sufficient in some areas to be validated as master watchmakers. The idea is to have master watchmakers in different segments as well as in repairing or in the standard or current production, and it is they who will transmit knowledge orally and especially by writing, that is, say keeping records, updating procedures, or how we make a minute-repeater, what are the details that need to be taken into consideration, and that is what makes the difference at Patek Philippe, we keep this expertise. Even if tomorrow I lose my ten best watchmakers, I still have this knowledge, and this is what is important for the client because he does not want to buy a piece tomorrow and not find someone who knows how to repair it. What does the customer look for in a watch? There is an important statement or social status. Also in this world of modern technology, people are interested in a piece that has no battery, which rotates with a small barrel, with wheels, hand finished, people like that aspect, mechanics is something you can understand, it’s gables, springs, people are looking for pieces that last, they can pass to their children. It does not motivate me to convey my iPhone or my iWatch to my child, mechanical watchmaking can be transmitted and repaired, this is the great strength of Patek Philippe who repairs watches since 1839 to date, it is our strength with collectors in the auctions. 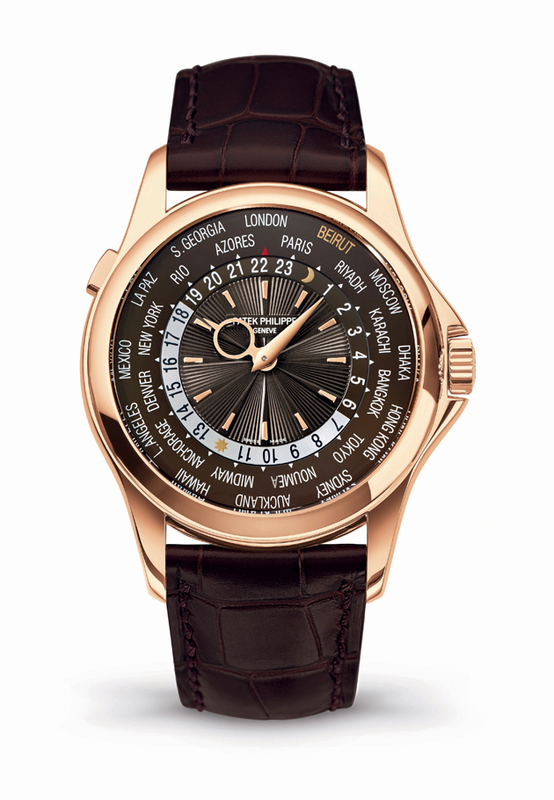 People invest in Patek Philippe, they know that there is not only history but also continuity. A watch can have 100 years, it will, however, keep functioning, I can pass it to the next generation, it is an object of sentimental value that also becomes an object of value. Exclusivity with Patek Philippe is that, since we’re small, we do not produce many watches.